'Game Change' Director Making Another Lance Armstrong Movie — How Will The Two Be Different? 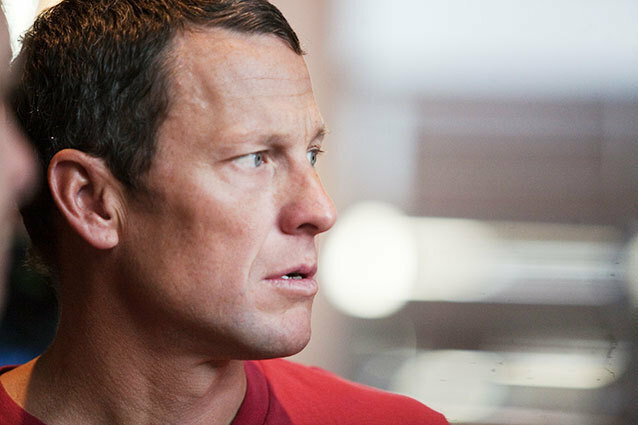 ‘Game Change’ Director Making Another Lance Armstrong Movie — How Will The Two Be Different? Now that we’ve finally all stopped talking about Lance Armstrong, people are beginning to think that we’re not talking about Lance Armstrong enough. Sure, there’s a movie about the disgraced cyclist in the works — a Paramount feature being produced by J.J. Abrams and totally not starring Bradley Cooper. But that’s hardly enough. We need another movie. And another “J” to direct it. That’s what Warner Bros. thought, anyway, as it has enlisted Jay Roach to helm a second biopic about the biker. Deadline reports that Roach — director of the Austin Powers series, Game Change, and The Campaign — is signing on to helm the tale of Armstrong’s fall from glory in the face of a doping scandal. Along with Roach comes screenwriter Scott Z. Burns, a Steven Soderbergh frequent collaborator who must be looking for a new pal since his The Informant!, Contagion, and Side Effects director is hanging up the corduroys after the HBO film Behind the Candelabra. With Roach in tow, we might be inclined to expect an Armstrong story that is a bit funnier than the alternative. Sight gags, witty repartee, bicyclists slipping on banana peels… but then we have Burns, a thriller machine also responsible for The Bourne Ultimatum and slated with writing the forthcoming Dawn of the Planet of the apes. So a whole mess of tension and a few jokes to break up the anxiety? That sounds like a functional formula. At this point, there are too few details surrounding either this picture or Abrams’ Armstrong film to tell how they’ll be different. Will Roach’s be more intimate and personal, while Abrams’ more vast and far reaching? Will one tell a softer, simpler story of a man taken down by his own pride, while the other indulges in the dramatic examination of the very idea of drug abuse? Will one have Mini-Mes and the other displaced polar bears? If so, which will have which?